As the baby boomers gracefully round into their golden years, Trulia found that the already strained housing market tightens a bit further as they hold onto their homes into retirement. Defined as the population born between the years of 1945 and 1964, aging the seniors at 54 to 73 today, baby boomers will be the largest generation of retirees in United States history. Although baby boomers are delaying downsizing at practically the same rate as in the past, their sizable population holds possible disadvantages for the younger generation entering the housing market. 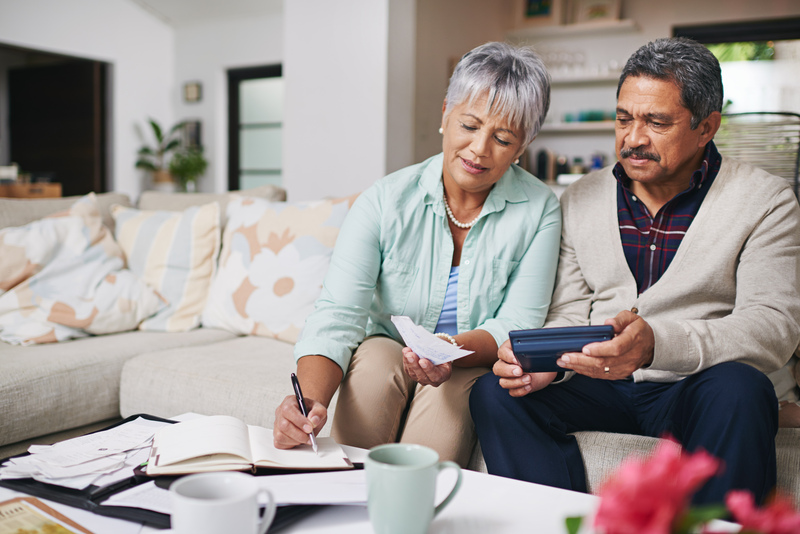 While some believe that the boomers’ reluctance to move has reinforced the current housing market’s inventory crunch, other speculate that they are timing the pace of the market, preluding a large sell out. The number of seniors in the labor force has increased from 15.9 percent in 2005 to 19.3 percent in 2016. The amount of senior households living alone has decreased from 85.2 percent in 2005 to 83.4 percent in 2016. The population of senior households living with younger generations has increased from 14.4 percent in 2005 to 16.1 percent in 2016. 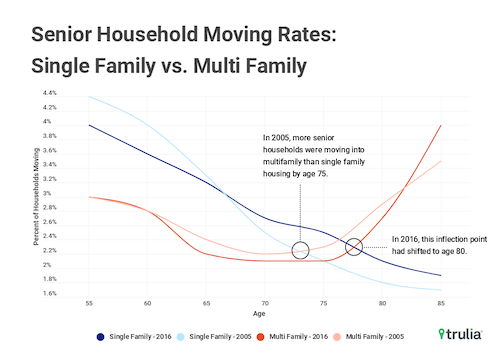 Alexandra Lee, housing data analyst for Trulia’s Housing Economics Research Team, summarized in a post that baby boomers are working and parenting longer, as their kids are living with them more than in previous generations. Trulia also found that the population of empty nesters — senior households without younger generations living with them — hold an average of two more bedrooms than people in the home while households under the age of 65 average have only one extra bedroom. Further, Trulia recorded that households that own their single-family home and are without live-in kids are in the most affordable metros in the country and that boomers are not holding properties in low inventory metro areas, preferring instead places with higher rates to accommodate their kids.